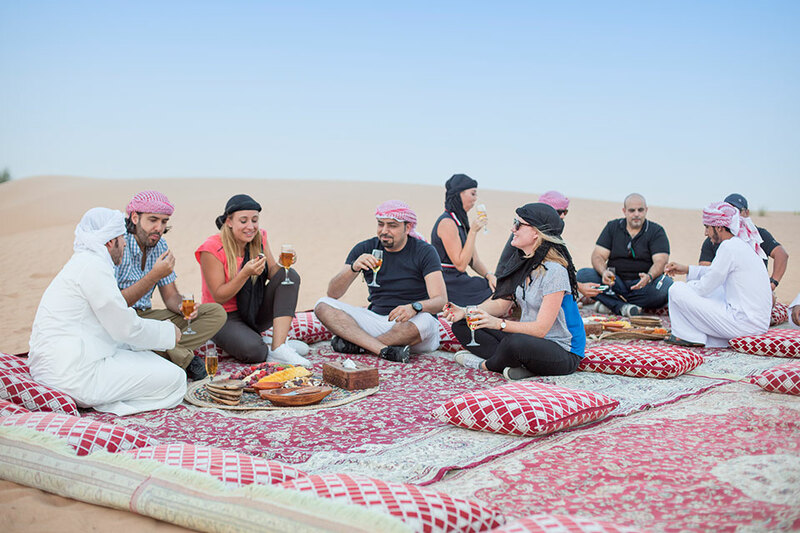 Experience the most awarded Desert Safari in Dubai and break the fast during Ramadan traditionally in an authentic desert setting on this Iftar Desert Safari. 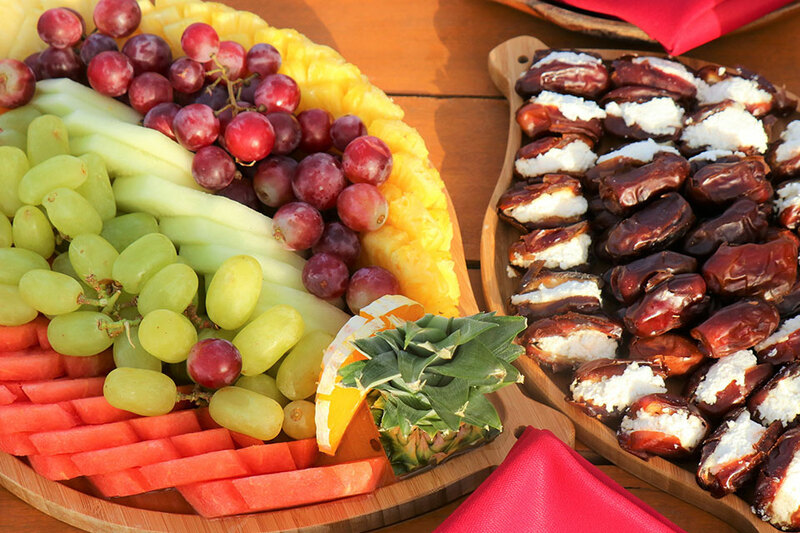 The holy month of Ramadan is a sacred time during the year when Muslims fast from dawn to dusk. It is also a wonderful time to experience the rich culture and heritage of Dubai. Embark on a wildlife drive in the Dubai Desert Conservation Reserve in vintage Land Rovers with a Conservation Guide and spot native wildlife like the majestic Arabian oryx. 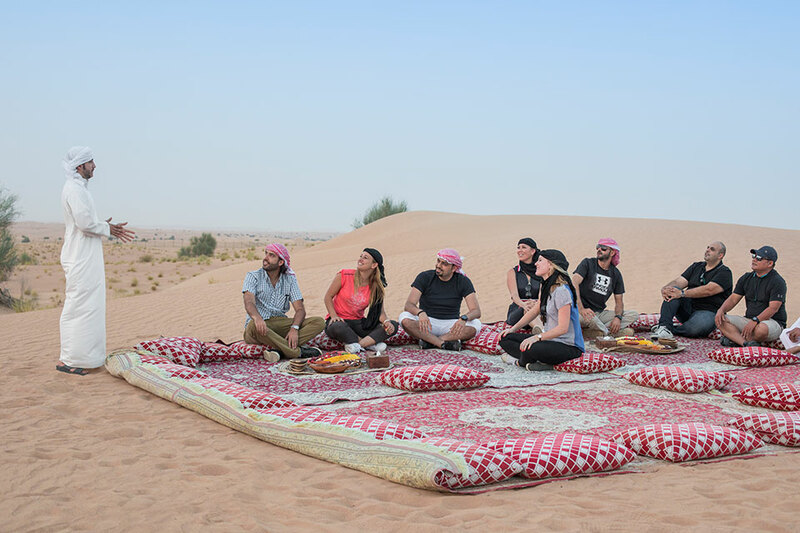 Arrive at traditional majlis (Arabic term for place of sitting) hidden in the heart of a Royal desert retreat to watch a sunset falcon show. 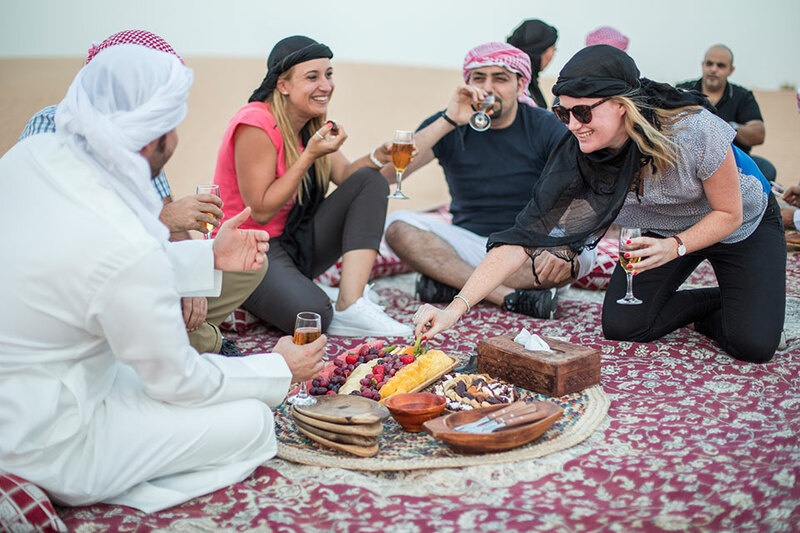 Feel the true community spirit of Ramadan as you break the fast with dates and sparkling date juice with locals who can’t wait to share their Ramadan traditions with you. 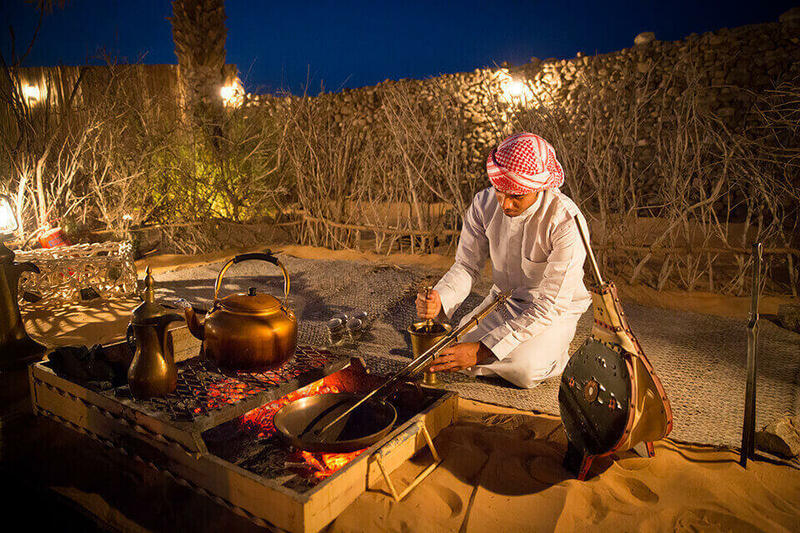 Afterwards, arrive at the authentic Heritage camp for a lavish iftar (term for meal after sunset during Ramadan). 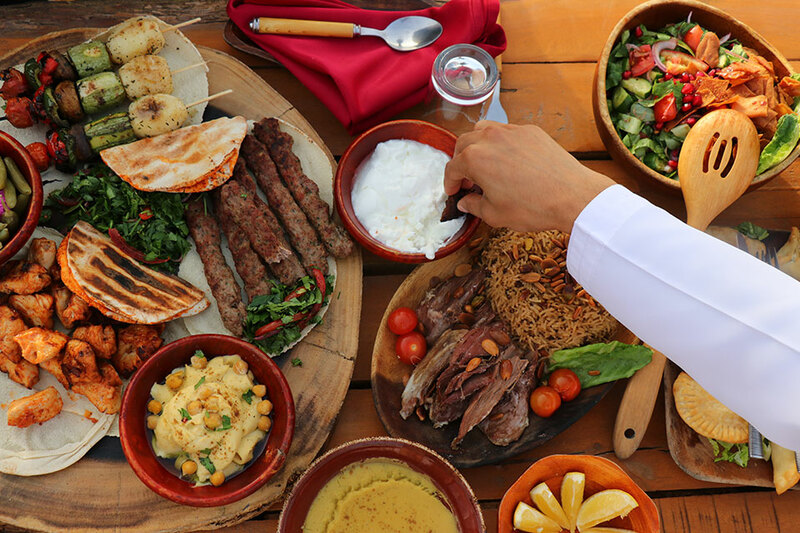 Enjoy a delicious spread of local dishes like Lamb Ouzi and Shish Tawook. Spend the rest of the evening relaxing in the traditional majlis, trying top-quality shisa, admiring the stars in a professional Astronomy session and enjoying cultural entertainment like henna, camel rides and a Yola show. 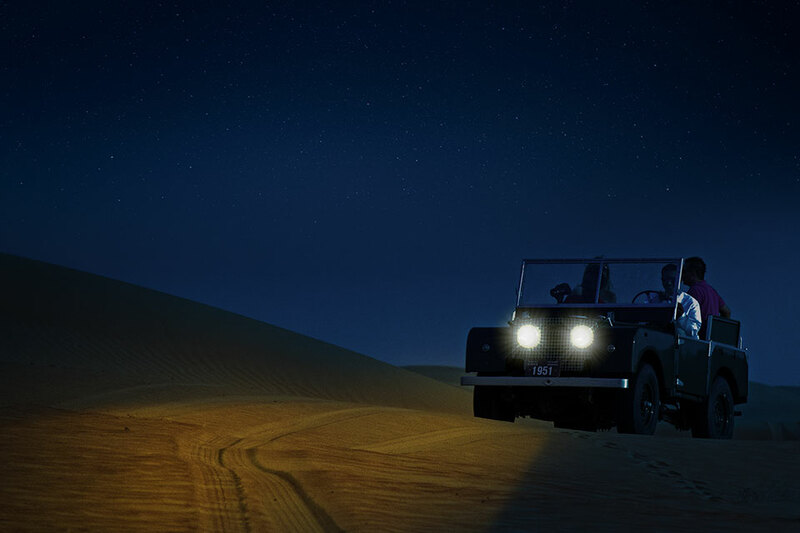 Wildlife drive through Dubai Desert Conservation Reserve in a vintage Land Rover. Arrival at the authentic Bedouin camp. Henna tattoos, live bread making, Arabic coffee making and aromatic shisha pipes available. Dinner includes soup, salad, appetiser, main course and dessert. Return to the Hotel between 09:30pm and 11.30pm depends on the season/sunset. Hotel pick-up from urban Dubai area, in an air-conditioned vehicle (shared). Bathrooms facilities are available throughout the tour. A portion of your desert safari fee is contributed towards local conservation. A private car booking is required if travelling with children under 5 years old. Children over 5 years old and under 12 years old will be accepted at the child rate. As it is warm in the desert we recommend (especially during summer) hat, sunglasses, sun cream, comfortable cool clothes. During winter we recommend that you bring a pull over as the temperature drops after sunset. Due to health concerns, the wildlife drive is not recommended to pregnant Guests within their third trimester. Highly trained Conservation Guide with extensive knowledge of ecotourism, cultural heritage, history and natural environment of the UAE. We recently had the pleasure of experiencing the Platinum Desert Safari Tour. Wow! From start to finish, my mind was blown at the efficiency of the company and the highest quality of hosting they delivered us. I could not recommend this company enough, everybody we met was so friendly and inviting, the activities were unique and the whole afternoon/evening ran like clockwork. Also, the food we ate during our tour was impeccable and authentic local/national cuisine. Our safari experience was beyond our wildest dreams! We truly enjoyed learning about the desert, wildlife, and cultural traditions! This was an experience you usually only see on TV, but we got to live it! Your trip to Dubai will not be complete without this safari! Living in Dubai for almost 10 years and just now did the tour with Platinum Heritage, I’ve been missing out! The tour was perfect from the beginning till the end. Next time I have visitors, for sure I book again!